maybe I should post them? Wishing You a Joyous Easter card was stamped on printed vellum and colored on the back with Prisma Colored Pencils. Cross image from Inkadinkado. 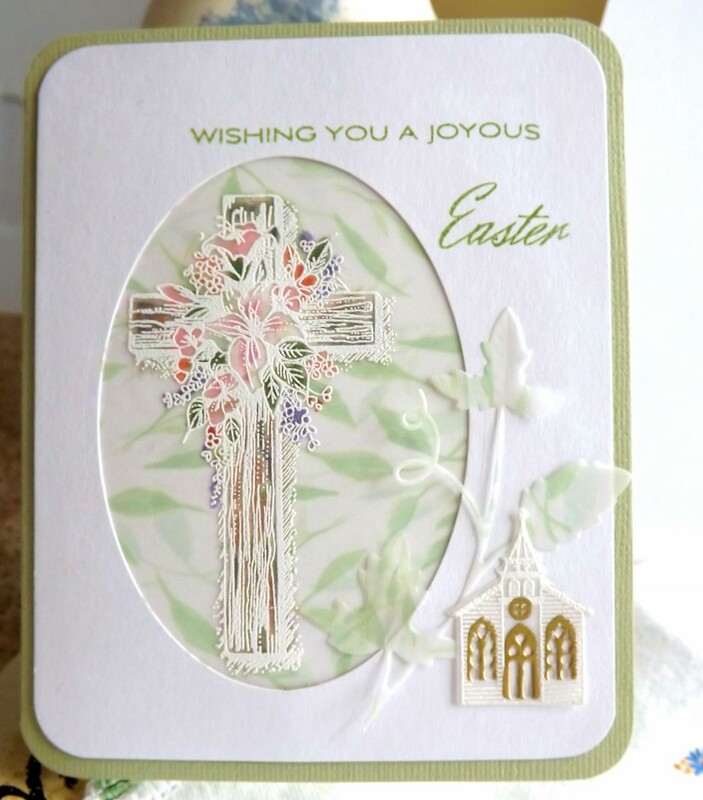 Church die and verse are from Papertrey Ink. Ivy die from Memory Box. 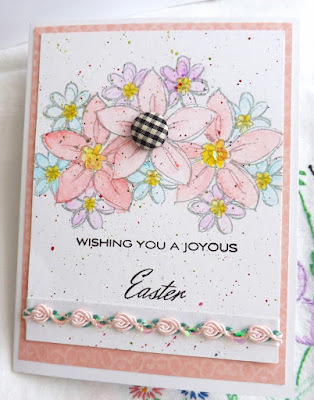 Last is this Watercolor Easter Card. 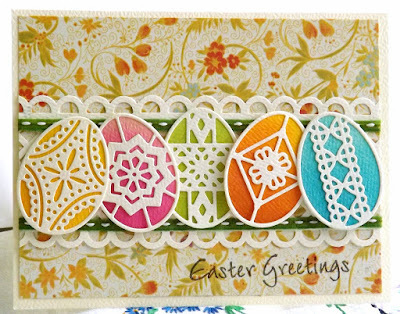 Stamps are from Stampin' Up, verse from Papertrey Ink. 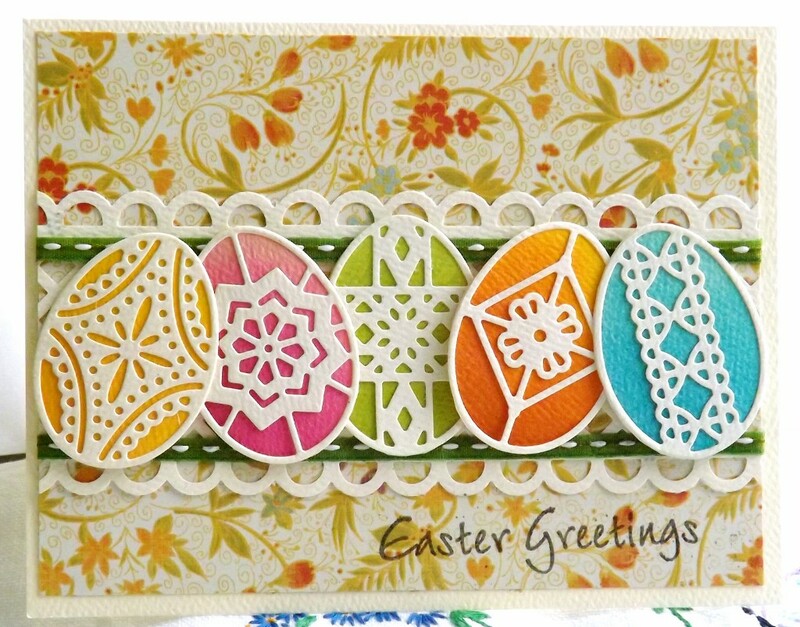 these are all so lovely, I like all the designs on the eggs and the pretty coloring on the cross, pretty flowers to finish off the last card!